Over at the range where I took a course for my Conceal Carry permit, my CCW, I was told that they also offered a class for the Utah multi-state CCW permit. The 4 hour class room course is authorized by the State of Utah. 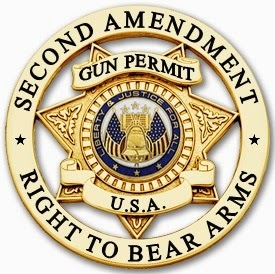 The permit is recognized by more than 30 states. Because it is recognized in so many states, the Utah CCW permit has become known as the "Multi-state CCW". While one does not need to have a California CCW to obtain the CCW from Utah, it should be noted that California will not recognize the gun permits from other states. Consequently, the Utah CCW is not good in California. Since the Utah course does not require range or has a qualification process, courses can be instructed in different locations where a range is not available. The fee for the Utah CCW course generally runs about $125. And yes, the fee includes the price of fingerprinting and a passport photo services. Unlike the California CCW where the pistol the permit holder carries is listed on the permit, the Utah permit is not firearm or caliber specific. This is a great permit to obtain, especially for folks like me who enjoy traveling. A report in the news that other day stated that tens of thousands of gun owners from around the country are taking advantage of Utah's concealed firearm permits each year -- which as stated above can be taken in a required class given by instructors licensed by Utah but who live in other states. About two-thirds of the nearly 577,000 permits Utah has issued in the last two decades have gone to residents from other states. Yes, the majority of CCWs from Utah have gone to residents of other states! A new state of Utah report issued this week shows that more than 81,000 out-of-state residents obtained Utah CCW permits in fiscal year 2014. That accounts for 80% of the cards issued. "Utah's permit is attractive to out-of-state residents because it's recognized in 35 states and allows them to travel more widely with it," said Representative Curt Oda, a Republican lawmaker from Clearfield who is also a Concealed Carry permit instructor. Utah ranks alongside Arizona and Florida as being the most popular for out-of-state permit seekers not because it's easy to get one, but because of the widespread acceptance around the country, said Clark Aposhian, chairman of the Utah Shooting Sports Council, the state's biggest gun lobby. It is important to note that the State of Utah says very clearly on their website, Utah Department of Public Safety, "If you reside in a state that recognizes the validity of the Utah CFP or has reciprocity with Utah, you must obtain a CFP or CCW from your home state and submit a copy of it with your application for a Utah permit.Residency will be determined by your state-issued identification. If your state does not recognize the Utah permit this does not apply." Most of the 2,300 current Utah CCW instructors -- actually 72% of them -- don't live in Utah. Utah runs background checks on a nearly daily basis, and permits can be suspended or revoked if holders are convicted of crimes that take away their eligibility, Mr. Aposhian said. While it is interesting that California, Oregon, Illinois, and New York do not recognize the Utah CCW permit, Utah state records show that those four states are the states with the most Utah-issued permits. Yes, that's likely because permits from those states aren't widely recognized, so gun owners get a second card from Utah for travel. Because Utah's permit isn't recognized in those states, it's easier to get a Utah card because residents there don't have to first get a permit from their own state -- which like getting one in California can be almost impossible depending on the county one lives in. In 2007, San Francisco County with a population of almost 900,000 residents issued 8 CCW permits. In contrast, that same year, Calaveras County with a population of about 45,000 residents issued about 1,400 CCW permits. So yes, depending on the county one lives in here in California -- a resident has to make the decision as to whether he or she wants to break the law or move to another county if he or she wants a CCW to legally protect ones's self. Utah is one of more than a dozen states that issue concealed-carry permits to residents of other states. Each state has its own rules for issuing the cards, and Utah's application process is not the weakest, said Allison Anderman, attorney with the Law Center to Prevent Gun Violence. For instance, Utah requires that people from states that recognize the permit get a concealed carry from their home state first and submit it with the Utah application. "It's not like you can get denied in your home state and get a permit in Utah," Mr. Anderman said. Utah issues cards to people around the country even if their home state doesn't recognize the permit, putting the burden on the card holder to know what each state law allows. Washington and Wisconsin are tops for permit holders among the states where the card is recognized. While Utah is helping make it easier for Americans to be self-reliant and protect themselves, Liberals will never understand the need to protect one's self and not be dependent on law enforcement. Liberals will never understand the adage, "When seconds count, law enforcement is minutes away!" Take for example, Gary Sackett, a board member for the Gun Violence Prevention Center of Utah, who said, "It makes no sense to us. It's not clear to us why we want to make it easy for people from other parts of the country when we have such a weak form of approval." Sackett doesn't understand why Utah keeps up the program. He says, "This advances no Utah state interest at all. There's no interest in somebody from Florida having a concealed weapons permit. It simply does not make any sense for us to be in this marketplace." On the other hand, Representative Curt Oda said the state of Utah has the right idea in making the process less strenuous than other states. Other states often require live-firing as part of a permit course, while Utah only requires classroom time and familiarity with the basics of a gun, he said. "Why should proficiency be a prerequisite to that right of defending yourself?" said Representative Oda. "Just because they happen to live across the border, doesn't mean they shouldn't be able to defend themselves as well." And by the way, if proficiency where to be a prerequisite to the right of defending yourself, not very many people would have the right. And yes, that includes many of our law enforcement officers out there. Let's be frank, many of the cops who I have known simply couldn't shoot well enough to call them proficient. Most believed in firing lots of rounds at bad guys to little or no effect. Most officers simply don't care about accuracy or anything that could be called combat proficiency. Even today, law enforcement officers are terrible shots. And yes, they seem to just want to have enough skill to re-qualify to keep their jobs. Since I have seen this over the years, when someone says to me that one should be proficient with a firearm to use it in a life and death situation -- my reply is always "I would hope one is, but it is not a requirement at the moment they need to defend their life." And yes, while I have seen law enforcement putting rounds everywhere except on the assailant at different times -- I have also seen people who I din't think could shoot do so very well when need be. As for allowing more people around the country to defend themselves by way of Utah CCW permits, representatives from the Utah Bureau of Criminal Identification presented the annual report to a Utah legislative committee, on November 12th, 2014, and there were hardly any questions asked by lawmakers and minimal discussion. 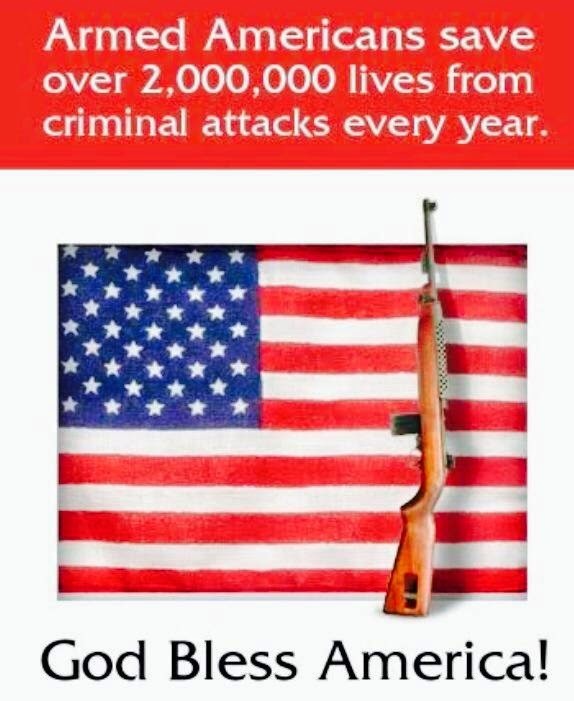 In Utah, the program is considered old news and generates very little backlash -- other than that from Liberal anti-gun groups who would like to see all law abiding Americans defenseless and at the mercy of armed criminals who careless what laws they violate. Applications cost $41 for Utah residents and $51 for non-residents. The permits last five years and cost $15 to renew. Here is California, a Utah CCW course can vary from $75 to $150 depending on the instructor. During the record year of 2013, the permits brought in $2.3 Million for the state of Utah. This year, 2014, the state lost $58,000 in administering the program because of the cost of buying a new card-printing system. The total of 101,640 permits issued in the recently completed fiscal year is more than any year from 2004-2012. But it is fewer than in 2013, when nearly 134,000 permits were given out.